It might be the most fun anyone can have on three wheels. The EZ Tadpole SX has a low-center-of-gravity that handles like a go-cart. The EZ Tadpole SX was designed to introduce new riders to this thrilling world of trike riding without breaking their wallets. And with 24 gears, it won’t break their legs either. “Riding a trike is fun and riding the EZ tadpole was no exception,” said BentRider magazine, a publication devoted to recumbent bicycles. “At the very least, I view this trike as the quintessential beach/bike path cruiser.” Updates for the EZ-Tadpole SX include Direct steering, the new Slotted seat adjustment system, rattle-free and infinite adjust seat strut system. The T3 CX and AX are performance minded tadpole trikes that handle like a race cars on rails. 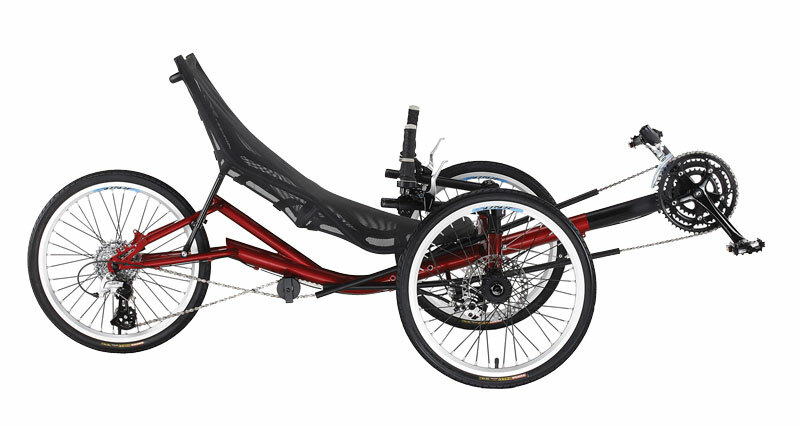 These trikes feature Direct steering and a one piece Sling seat system. With the T3 series trikes you’ll wonder how you got to your destination so easy and comfortably. 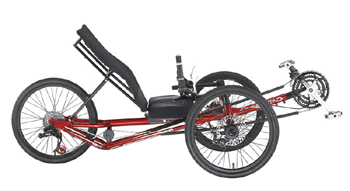 As with the rest of the SUN Recumbent line up, the T3’s includes the new rattle-free and infinite adjust seat strut.